Welcome to Day 3 of the MFT May Countdown. 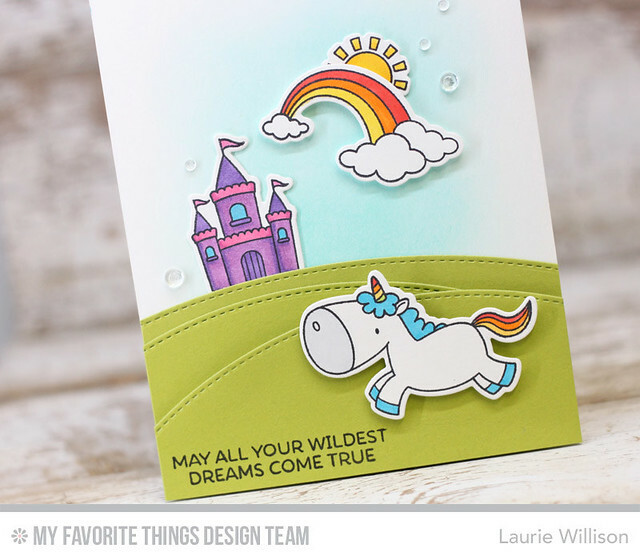 I have a card to share today using an adorable new set called Magical Unicorns. I did a little distress inking in the background and then created the scene using the images from the new set. I pulled out my Copics and did a little coloring for this occasion! 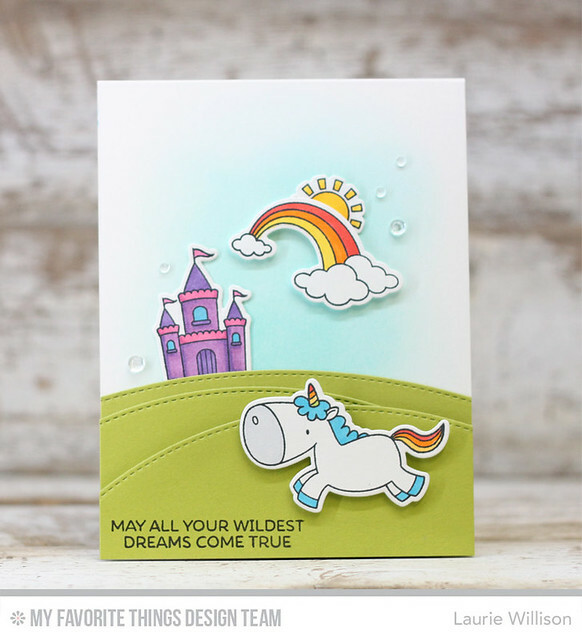 These unicorns are so adorable and I do love anything rainbow! Head on over to the MFT blog to see more of the sneaks for today. 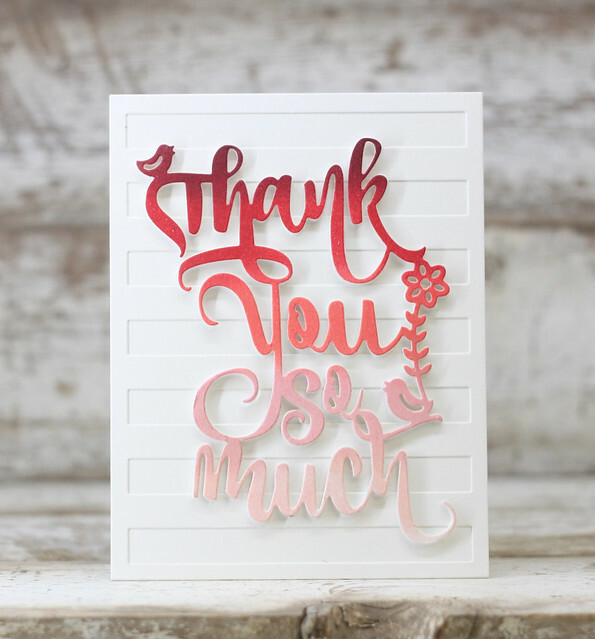 So glad you came by today and I will be back soon with some more MFT goodies! 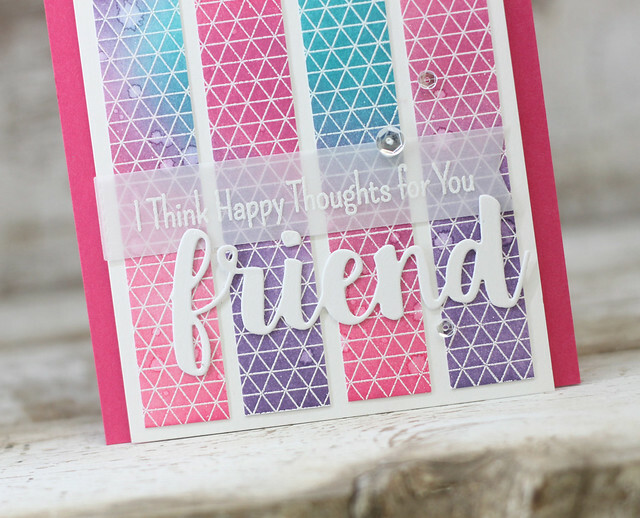 Our challenge this month for the Creative Construction with Blueprints, is to use the strips, tags and flags found in the MFT Blueprint dies, to add a sentiment on to a card. 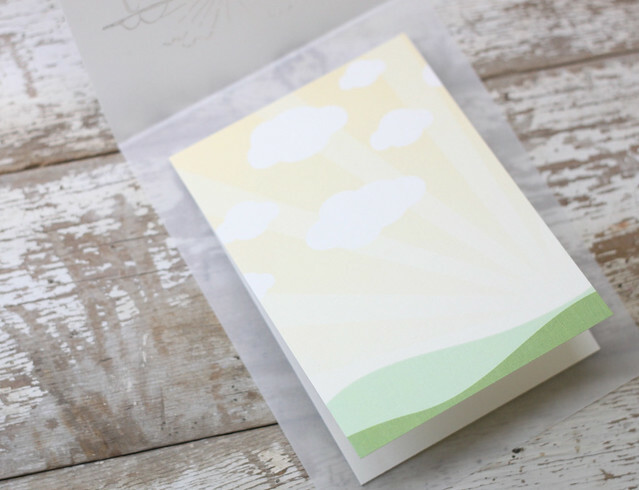 I added in the Stitched Cloud Edge dies to create the top of the card after blending in the ink along the bottom. 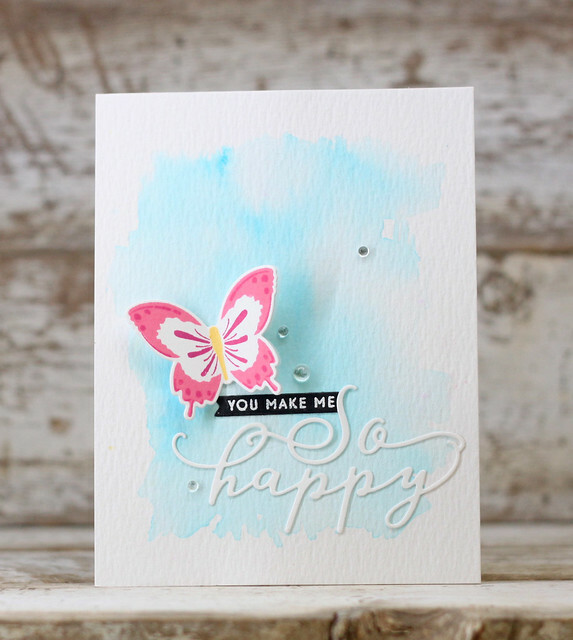 Next, I added in the watercolored butterfly die. 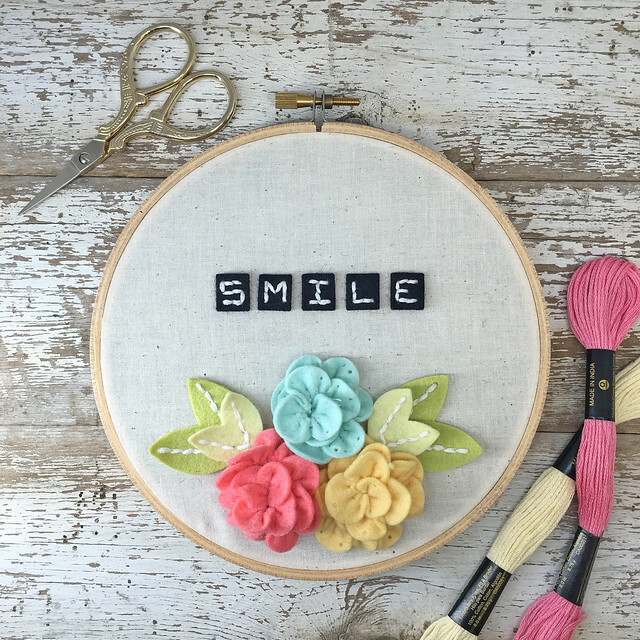 I needed to find the perfect place for a sentiment, so I knew vellum would be perfect with this stitched banner. To finish it off, I added in some rain drops. 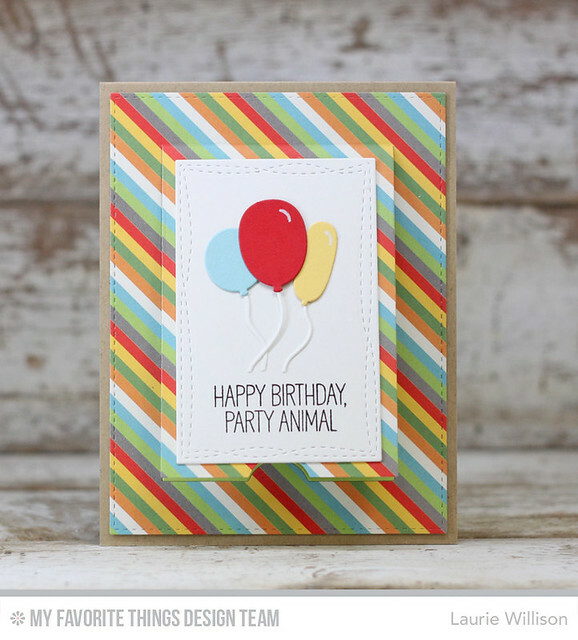 A fun CAS card using a banner to add in the sentiment. 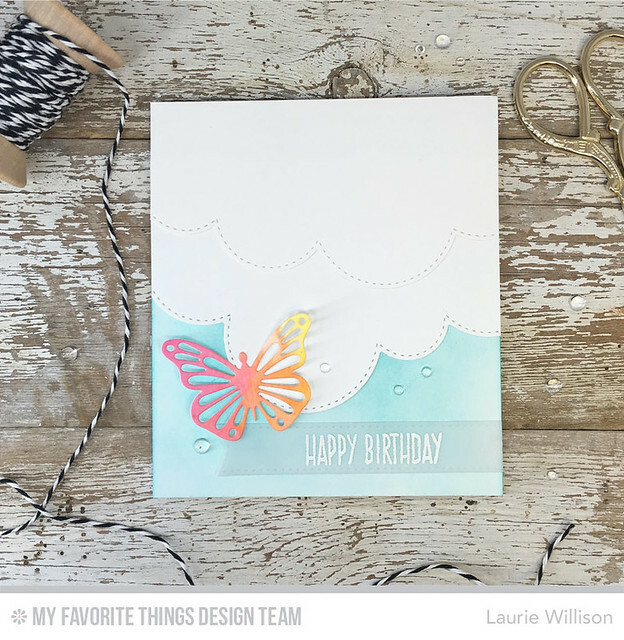 Stop over to the MFT blog to see more for today's Blueprints Challenge. Thanks for stopping by! 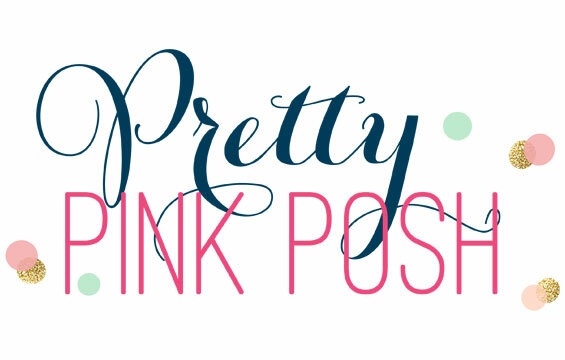 I have a fun post to share today! 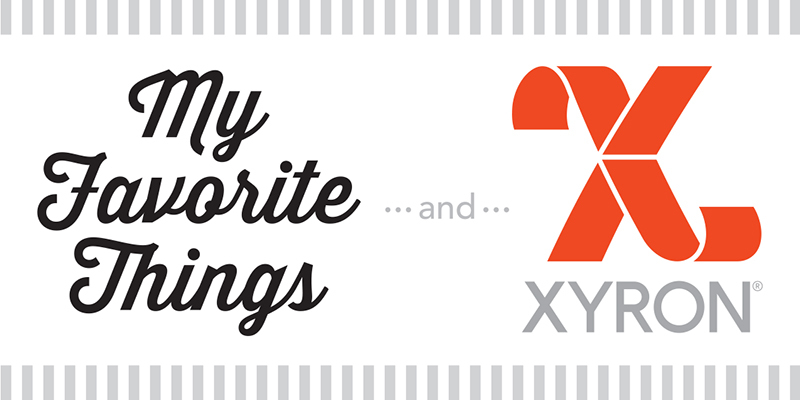 Xyron and MFT are doing a little collaboration and I have a card and some products to share. I used the Geometric Grid Background and some Distress inks to create this panel. I cut the panel into 4 strips and ran each through the Xyron Sticker Maker to stick them down to the white panel. 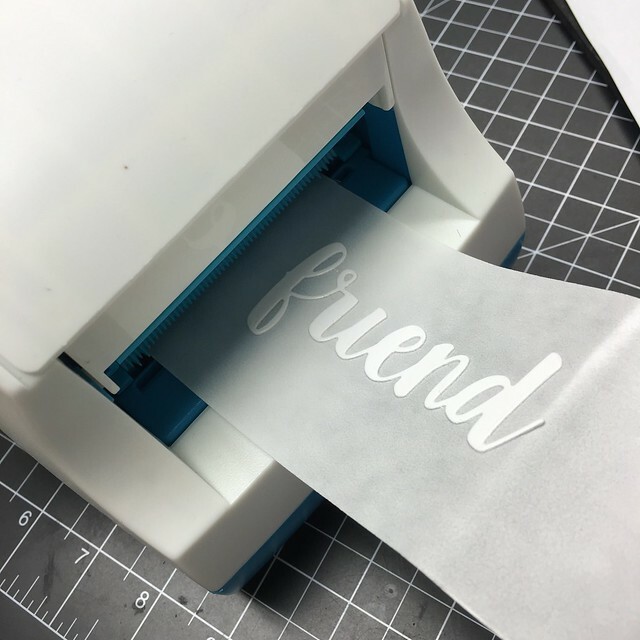 Next, I took the "friend" die and ran it through the Sticker Maker. 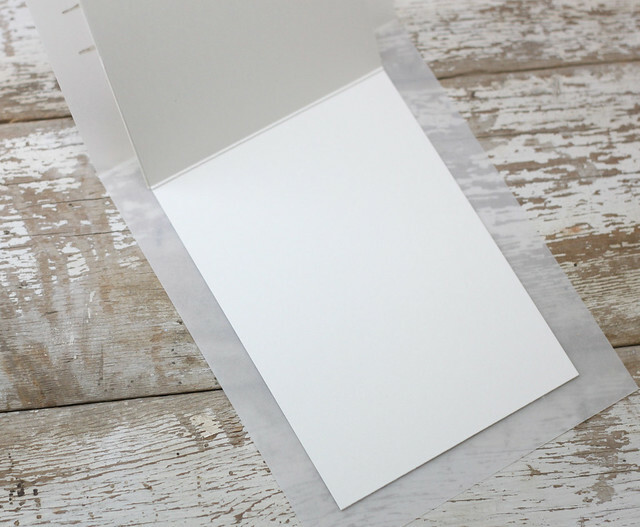 This is such an easy way to add adhesive to the back of your detailed dies. After I adhered it to my card front, I took the Xyron Adhesive Eraser Cube and just cleaned up the edges of the sentiment. This handy little tool is going to be a life saved in my craft room. I always have some type of adhesive to remove from somewhere! 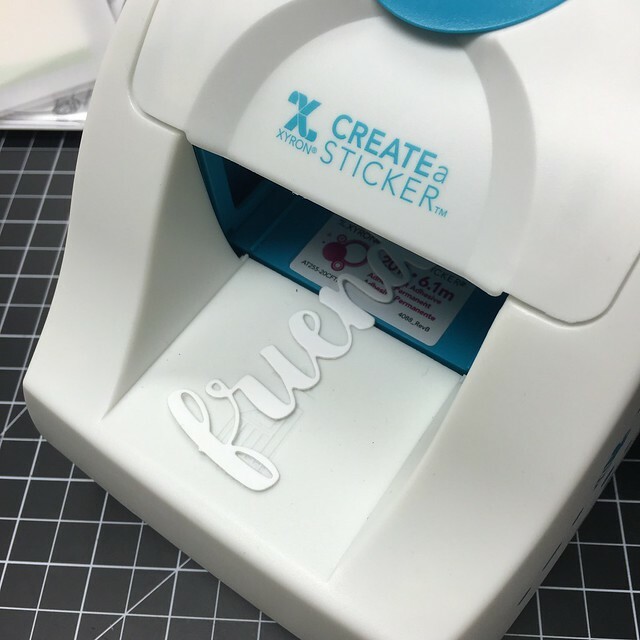 Please stop over to the MFT Blog to see more on this fun collaboration with Xyron and see what prizes are up for grab@ Check out the Xyron site HERE to see what fun supplies they have for card making and scrapbooking. 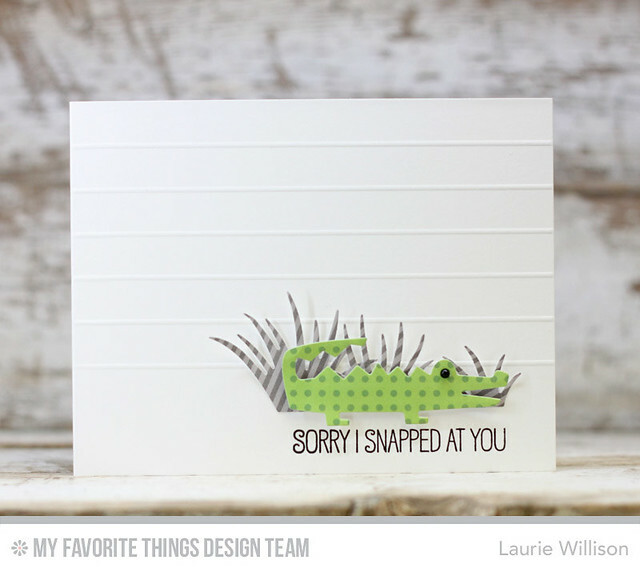 I did a simple scored background and then layered the grass dies and the cute little alligator die along with a sentiment. Easy peasy! 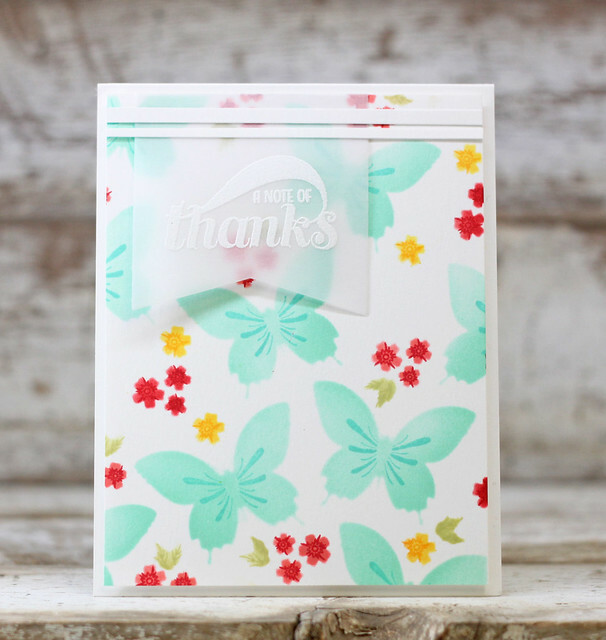 Head on over to the MFT Blog to see all the kit details! Happy Shopping! 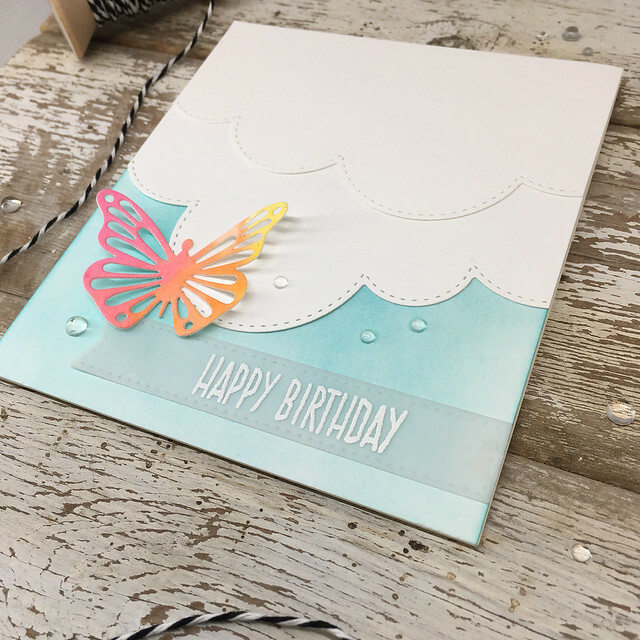 This card was so easy to die cut and layer together, creating the perfect birthday card for my son! 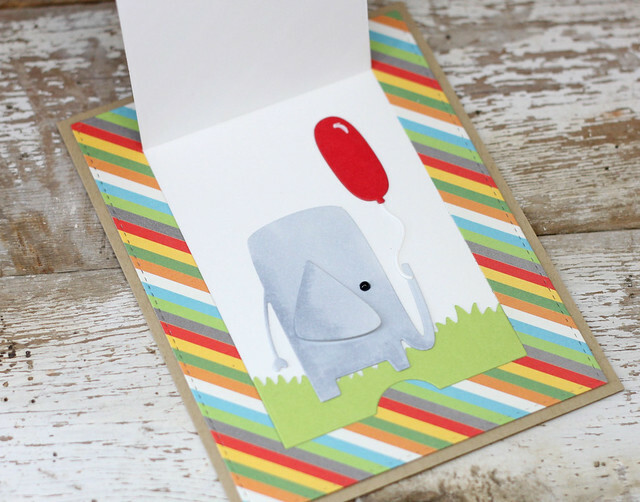 Lots of other cards to see over at the MFT Blog! Head over there for one more day of sneak peeks before the card is available to purchase tomorrow! 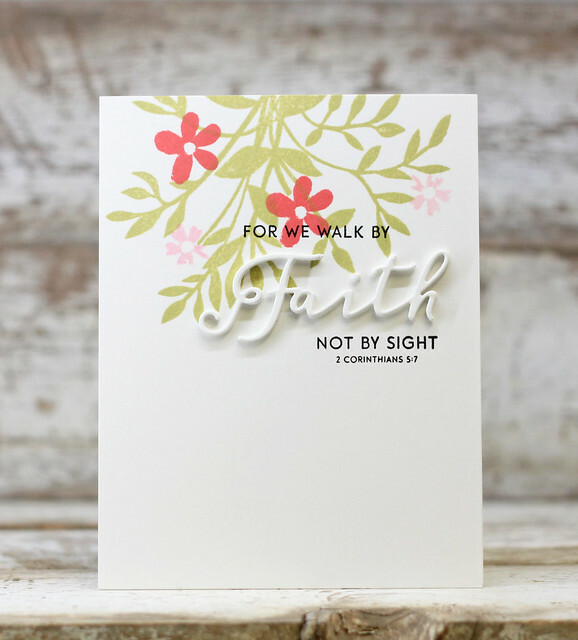 Are you ready for the MFT April Card Kit? I have a sneak to share today. This new kit is SO cute!! I used some painters tape to mask off the background to make the sky. I added in the gras along the bottom after adding in some Copic feathering to create a mix of grass colors. I did the same thing with Copics, for the branch and leaves. Last, I colored up the giraffe and then took another topic and drew in the giraffe spots and then added in the sentiment to finish it off. Head on over to the MFT blog to see the DT list of stops to visit. Thanks so much for coming by today! Good morning! I hope you have enjoyed the PTI release week. 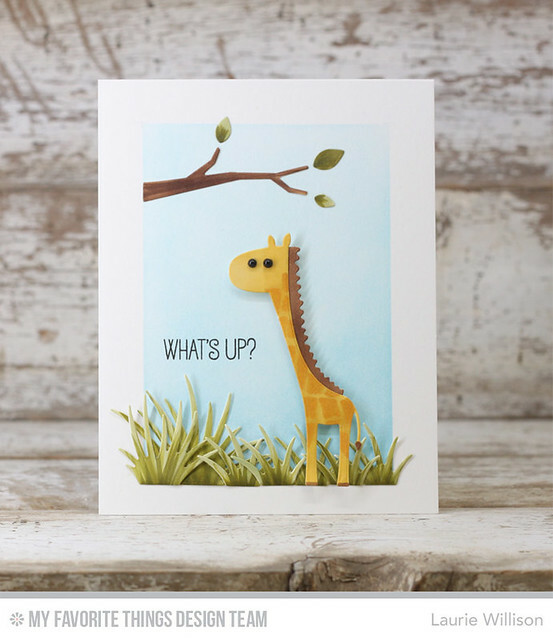 So many fun new products to add to your collection this week. 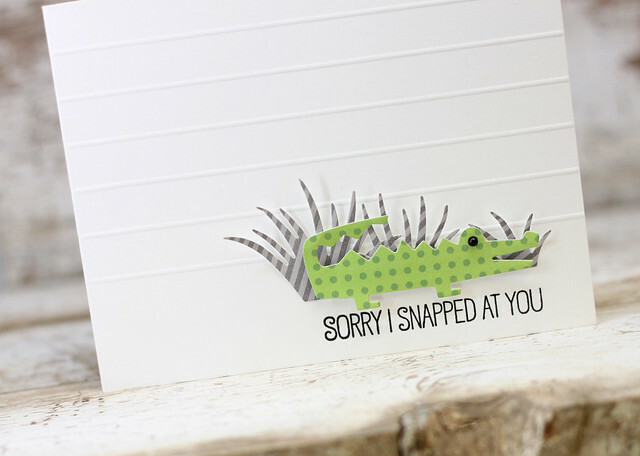 I have a few more cards to share and then tonight, you can shop! I did some ink blending with Scarlet Jewel, Pure Poppy, Berry Sorbet, and Sweet Blush and the cut out the die about 5 times, stacked them up and put them on the Cover Plates: Stripes background. This was an easy card, stamping the bouquet along the top of the card. Then I added the sentiment ins to finish off the card. I added some watercolor in the background, and then popped up the large succulent on the front, along with the sentiment in black cardstock. 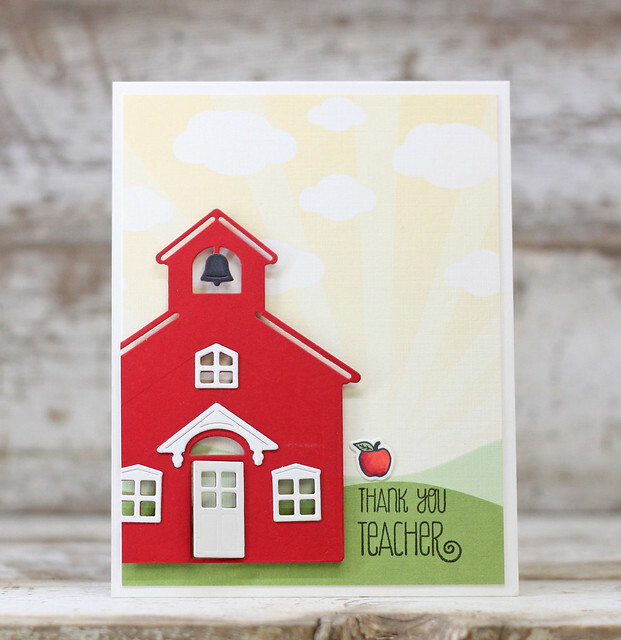 I simply added the school house die on top of some Petite Places paper for the background. 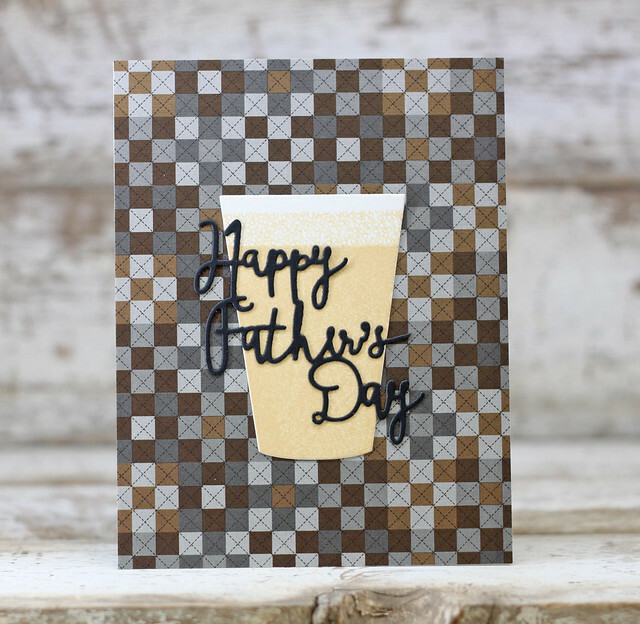 Shaped Sayings: Father Day die was so each to cut and use for this simple Father's Day card. 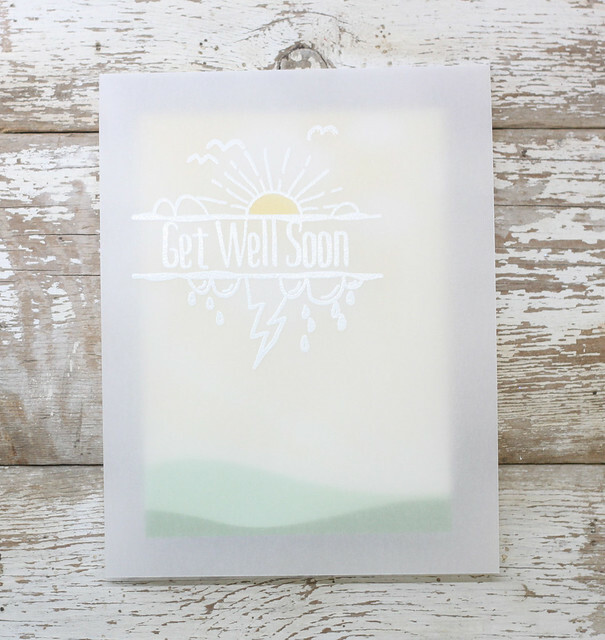 I heat embossed the splits image and the sentiment on the front of a vellum card base. Opening that panel is where you can add your message....fun huh? So that is it for today! Thanks for hanging out with me this week! If you head over to Nichole's blog, you will see a list of links to visit and check out with the rest of the DT has for today's Release in Review. Hope you have a great weekend! 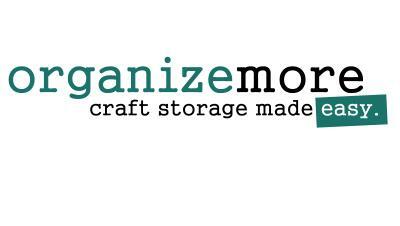 Hi there Crafty Friends! Today's post for the PTI release countdown is SO much fun! 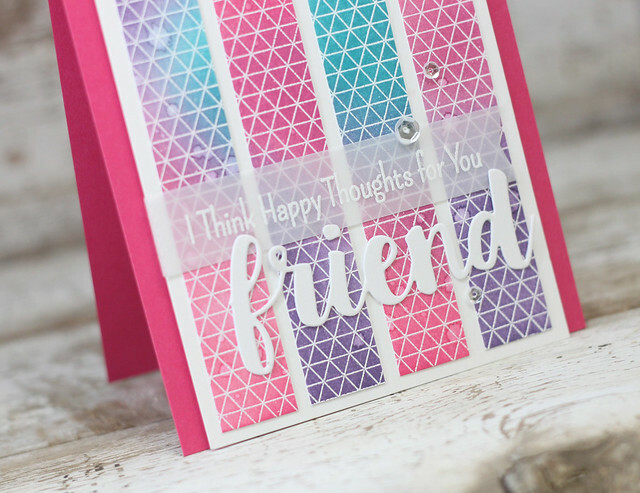 We get to share Erin's GENIUS new stitching products. 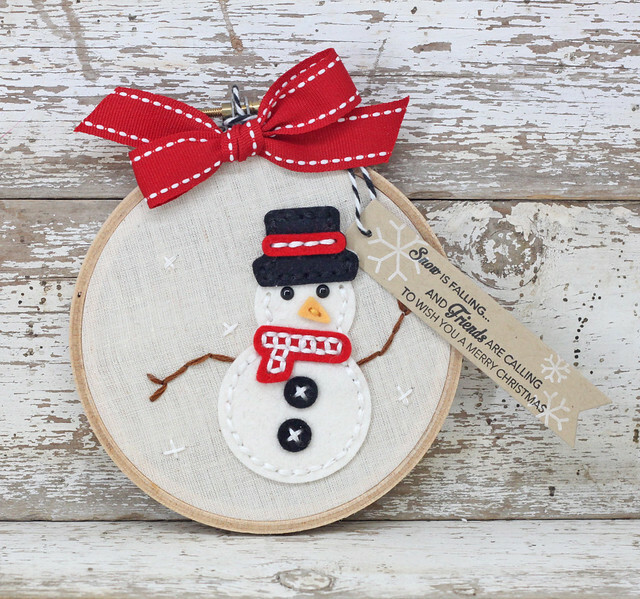 Recently at a craft retreat, my friend Amy and I chose a felted hoop project for one of our weekends make and takes. It was so much fun and so very easy. So these new goodies are amazing! I used the new Tiny Stitched Alphabet Blocks to make a fun, simple sentiment with black felt and white stitching. I used the Hoopla Stitched Scallop dies to create the flowers. 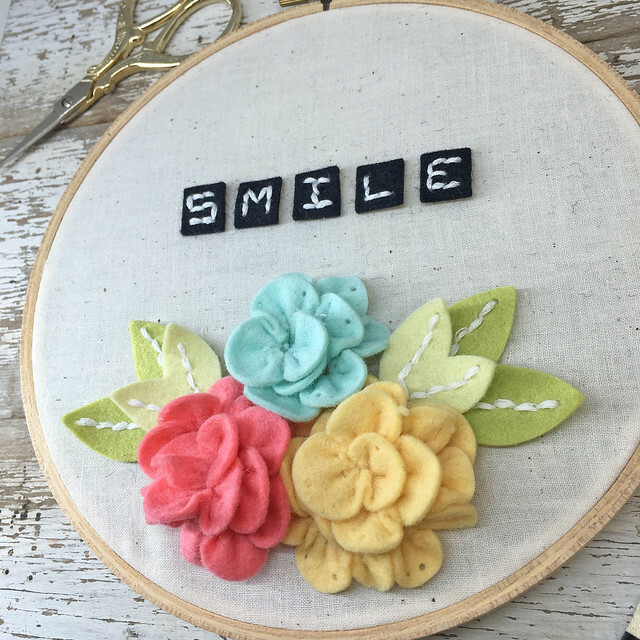 I stitched up the bottom to make something that looked like a banner and then I slide them all down tight on the floss and they curled up very easy to make the flower. I kept some of the stitching holes intact, around the edges and let some of the holes come out. 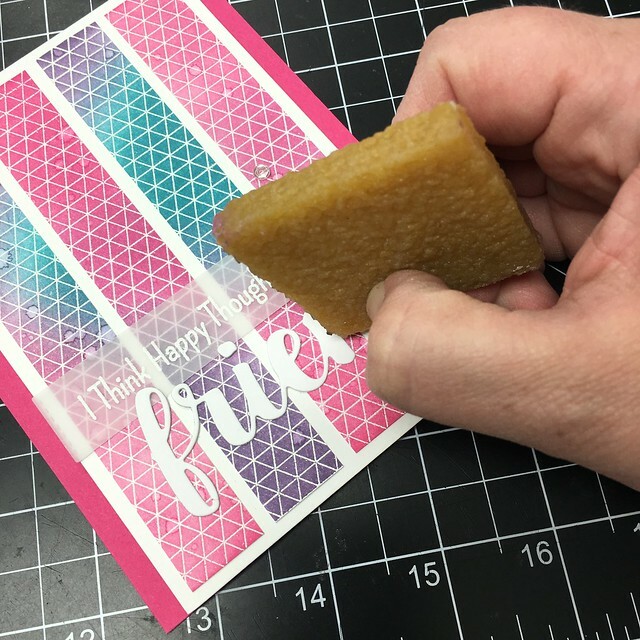 the leaf dies are not stitching dies, but was able to make them look that way by using a piece of a die from the Seasonal Stitching: Holly Dies. This was so fun and easy to create! 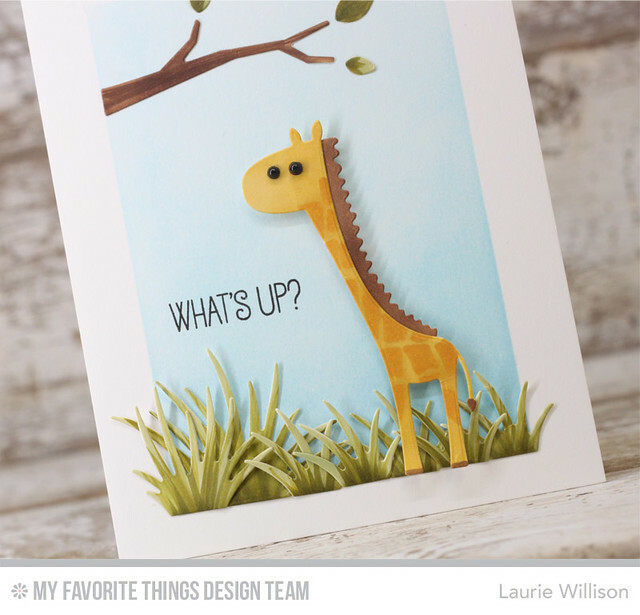 The rest of the DT will be sharing Hoopla projects today too, so stop by Nichole's blog to see the list of links. So glad you could come by today! Hope you have a great day! 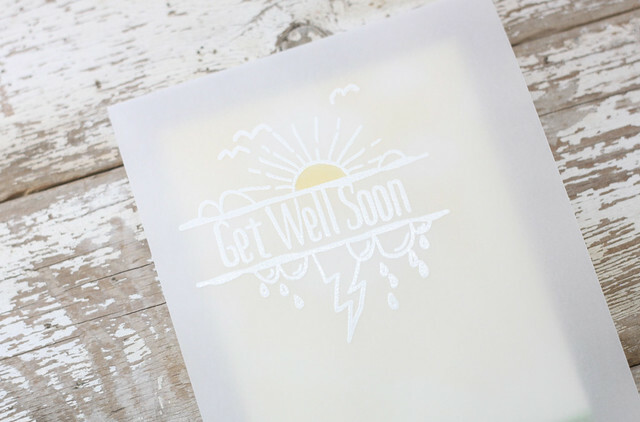 It's day 2 of group posts over at Papertrey Ink. 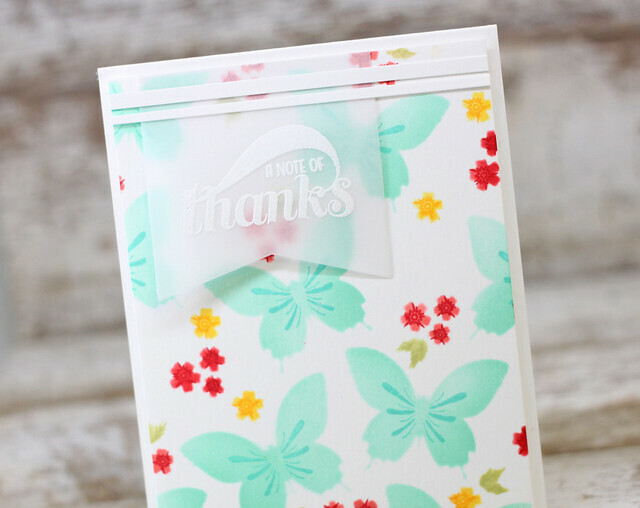 Today we are showcasing the new Mini Kit, Color Pop Butterflies. I have 2 cards to share today. 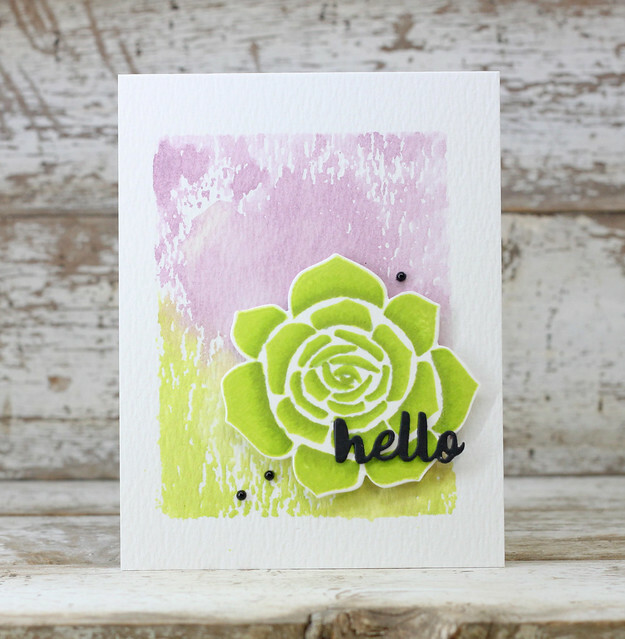 This first card was created using 2 of the 3 stencils in the kit along with the stamp set. I sponged in the color and then stamped the details over the top. I added the sentiment from the Bold and Beautiful set. 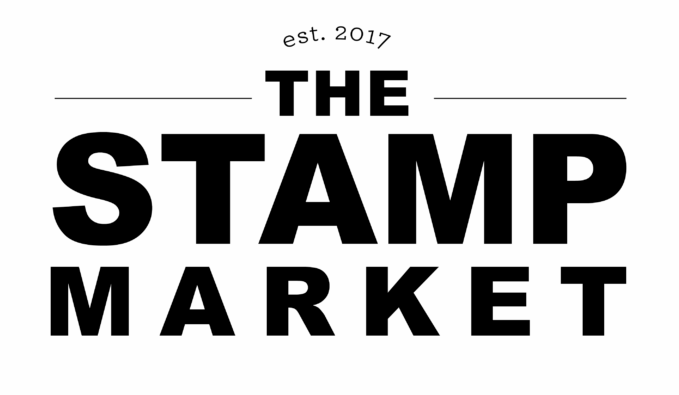 For this next card, I used the stamps and dies that are included in the kit. 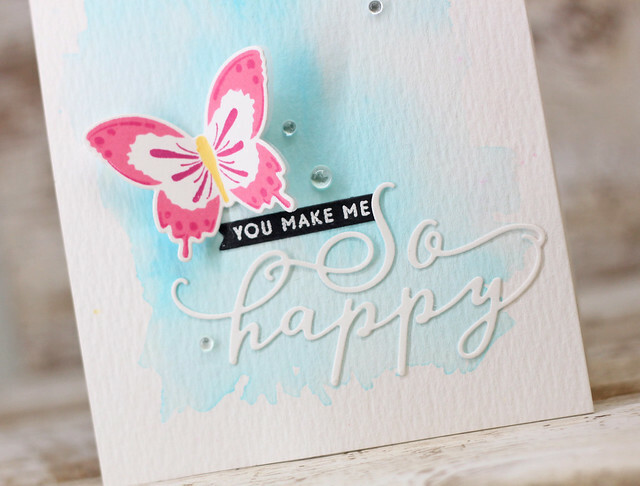 I did a little watercoloring in the background and then added in the butterfly and that fun sentiment die. I love the font! So this is it for today. 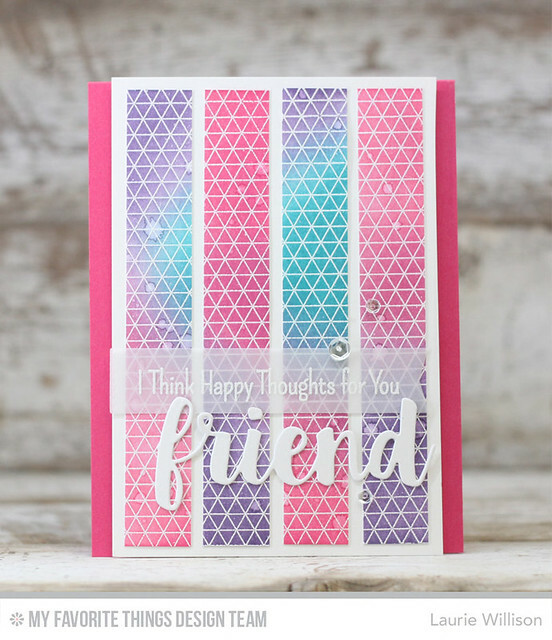 Head on over to Nichole's blog to see more about this fun new kit. We have one more day of group posts left, so I hope you can stop back in tomorrow! Hope you have a great day!